Customized Crystal Clock Personalized in Bulk. Red, Clear and Green Colors. Lowest Cost in USA, Canada. Customized Crystal Clock Personalized in Bulk. Red, Clear and Green Colors Available. Lowest Cost in America. Discounted customized Crystal Clock at wholesale prices. 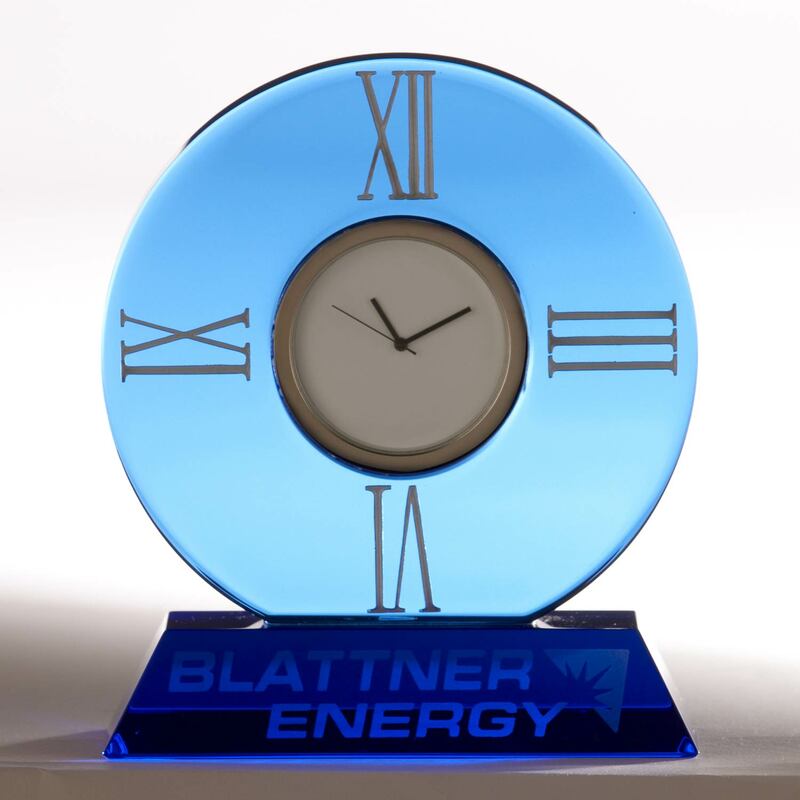 We also supply blank (not custom imprinted) Crystal Clock at EQP (End Quantity Price). Budget Prices in USA and Canada for advertising Crystal Clock American clients pay no taxes. The unit prices below include your 1-color custom imprint on one side. 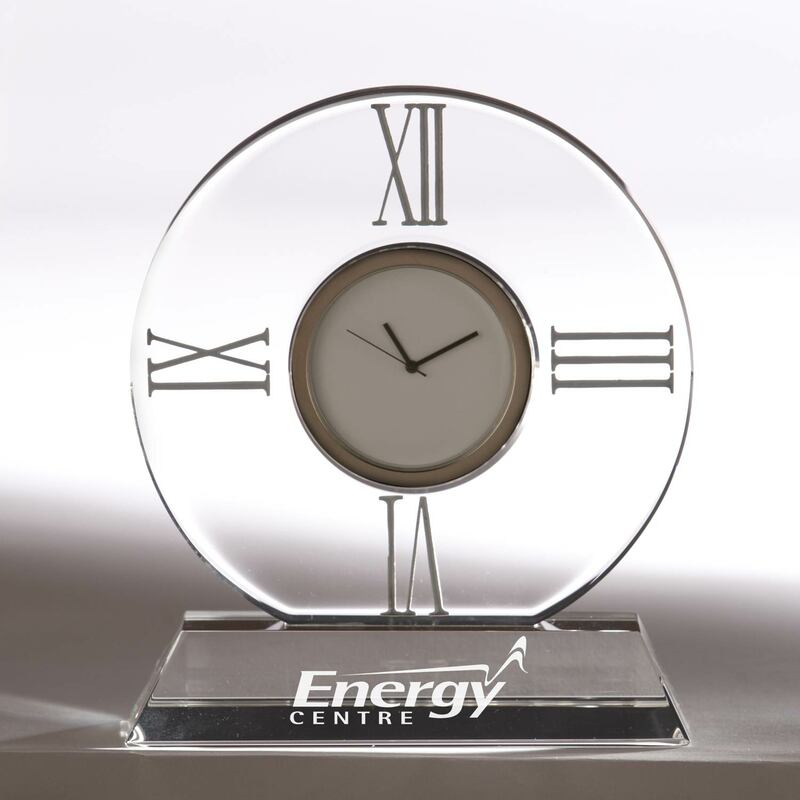 We also supply blank (not imprinted) Crystal Clock at EQP (End Quantity Price). PRODUCTION TIME: 5-10 days after art approval; Blank Crystal Clock ship next day. Rush Production is available: contact us. 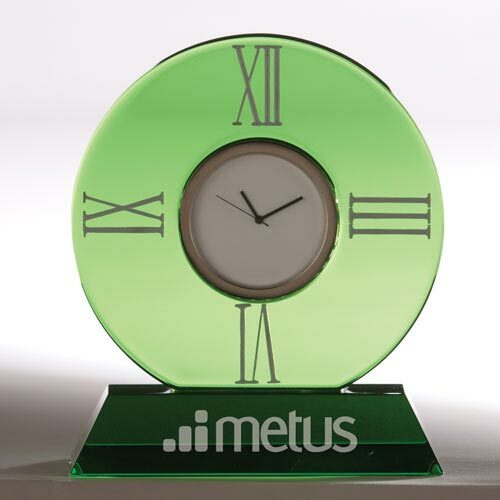 Architecturally stylized with large Roman numerals, these Optically Perfect crystal clocks will enhance any office. Imprint Area: 0.5" H X 2" W. Unless otherwise specified on your P.O., we will imprint in the direction shown here.